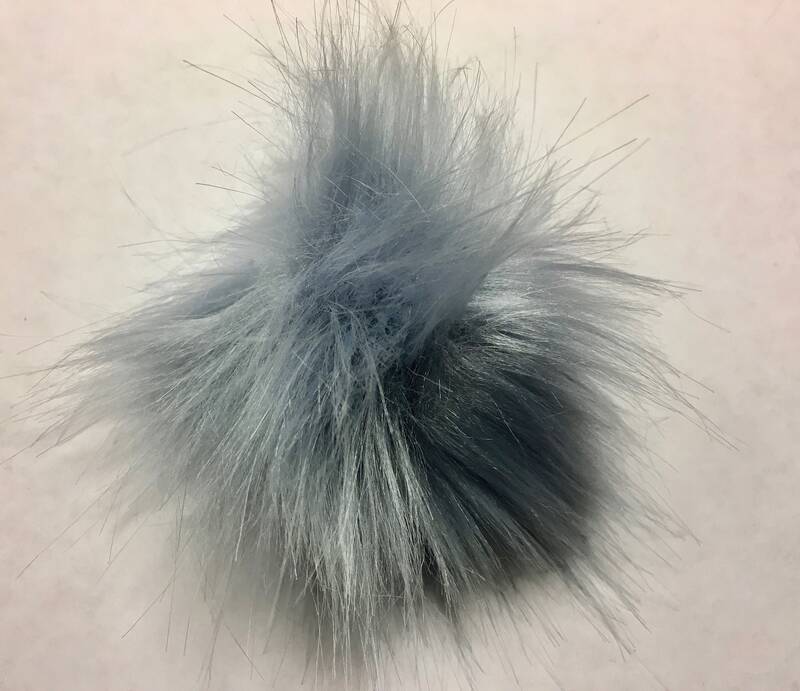 Imitation fox fur Pom Pom Balls DIY Craft Decoration - Light Grey with elastic ring loop. Approx. 80mm (3 1/8") Diameter. Great embellishment for hand knitted or crocheted hats! You can also add a ring for a fluffy key ring!